The name of the prize shall be the ArchSoc Members Award for Service to the Society. The total value of each prize shall be $50. There will be a maximum of three award recipients each year. The recipient shall be both a current student at Flinders University and a current member of the Flinders University Archaeological Society (ArchSoc), but cannot be/have been a current member of the general or executive committees during the awarded year. The recipient/s of the prize shall be determined by the ArchSoc general and executive committees. Each committee member may nominate up to three current members who have demonstrated the greatest contribution to the Society in terms of volunteering, fundraising, advertising or otherwise furthering the objectives of ArchSoc during the awarded year. Each nomination must be supported by a suitable justification. The committee will deliberate and determine the most suitable recipient/s based on the nominations. In the case of more than one suitable recipient, the prize shall be divided equally between them, to a maximum of three award recipients. The prize shall be awarded annually to no more than three members at the Archaeology Department’s award ceremony, unless the committees have judged that no suitable nominations have been received. The name of the prize shall be the Ruth and Vincent Megaw Award for Outstanding Collaboration in Archaeological Research and Practice. The total value of each prize shall be $50, to a maximum of $300. Each prize shall be in the form of a book voucher. 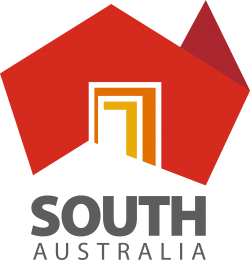 The recipients of the prize shall be a team of two or more members of the Flinders Archaeological Society (ArchSoc) or affiliated with the Flinders University Archaeology Department. Each team member shall receive a prize. The recipients of the prize shall be determined by a panel of four (4) members of the Flinders Archaeological Society committee and two (2) independent persons drawn from the Flinders University Department of Archaeology, who will assess each nomination. Nominees cannot serve on the award panel. Nominations must be submitted in writing to the current President of the Flinders Archaeological Society, along with suitable justification of outstanding collaboration. Each nomination must contain evidence of the nominees’ outstanding collaboration in archaeological research and practice. Publications submitted as evidence can be of the same subject or topic. All publications submitted as evidence must have been published, or accepted for publication, within two years prior to the nomination. All team nominees must be current members of ArchSoc or affiliated with the Flinders University Archaeology Department. All team nominees must be co-authors on each of the publications submitted as evidence, likewise, all co-authors of each publication submitted as evidence must be named nominees of the team nominating for an award. The current President of ArchSoc will collect the team nominations and distribute them to the award panel. The panel will make a judgement based on the quality of each publication and award the prize to the most suitable team. The prize shall be awarded annually at the Ruth and Vincent Megaw Annual Lecture in Archaeology and Art, unless the panel have judged that no suitable nominations have been received.